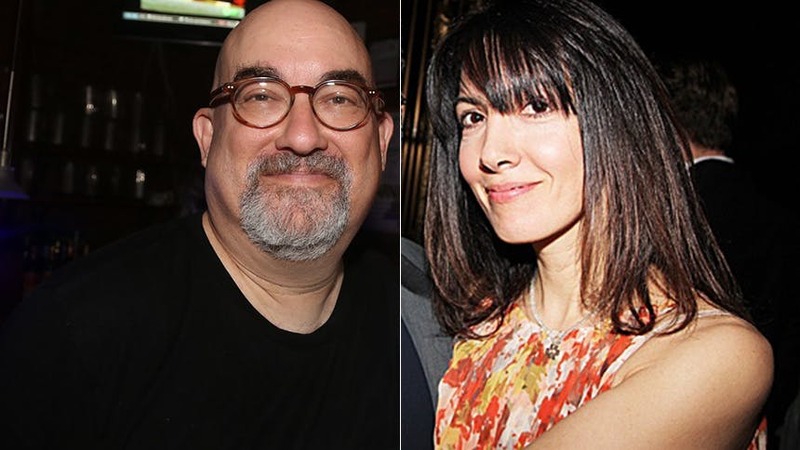 The first Broadway revival of Ahrens & Flaherty’s musical Once On This Island has a completely new, rich sound thanks to the work of Tony Award nominees Michael Starobin and AnnMarie Milazzo, who received a joint nomination this year for Best Orchestrations—and for fans of the piece, it’s clear why. Hearing just the first few numbers from the original cast recording and the revival cast recording side by side is remarkable. Michael won Tony Awards twice before in this category for his work orchestrating Assassins and Next to Normal, and he orchestrated the original Broadway production of OOTI in 1990; AnnMarie (who always has a place in our heart for her work as the mom in Bright Lights Big City and vocally arranging the original and revival of Spring Awakening) is a first-time nominee. Below, BroadwayBox chats with the dynamic duo to find out how they arrived at this new Island sound, the challenge of orchestrating this revival, and advice for those interested in this career path. What were the early conversations with Ahrens & Flaherty or Michael Arden that helped shape and inform what you would do with the orchestrations for this revival? How did you come up with adding the storytellers into the score in such an interesting new way? The first conversation were with Michael Arden, who I was working with on Hunchback of Notre Dame at the time. He was talking to me as the past orchestrator, saying he was looking for a different sound and that AnnMarie was doing all new vocal arrangements, and he said, ‘If you were to do it again what would you do?’ I said, ‘I would probably do it a lot less synthey [because synthesizers were new in the 1980s and we did a lot more of that at the time] and do something more naturalistic at this time.’ I wasn’t looking for the job but I convinced him enough to have me come on and work on it. Then in pre-production meetings with Dane (the set designer) and Michael, Dane was showing us pictures of Haiti after a hurricane—the disaster and the wreckage. I was looking at it and it reminded me of an instrument inventor John Bertles, who I went to college with and who has a music education group called Bash the Trash. I suddenly had the idea of why don’t we take the trash from the hurricane and actually play it as instruments? So that idea really came from Dane’s photographs and this idea of a community recovering after a disaster. It’s a very community-based concept. Michael Arden first approached me about 4 years ago and said he wanted to do Once On This Island in a parking lot with no orchestra or sound of any kind, and did I think I could do that vocally. I was excited by the idea and was excited by the challenge of that idea along with all of the questions I had about it… Was it "possible" and the "why" of it all. The "why" was the easiest to answer: The story takes place after a hurricane, a community has been destroyed, loss of power, fear, etc.—what does that sound like? I imagined no electricity, garbage everywhere, and a community having to rebuild. People use whatever they have and out of destruction comes beauty... with only garbage and their voices comes singing...music…not relying on a "band" for all dynamics was exciting. That was the why! Did it work on those first all only singing demos... NOPE.. lol we found that the ear got tired. All singing all the time had the opposite effect of what we wanted... everything flattened and evened out...we needed some other sounds. The story was too important!! We asked Michael Starobin if he would work with us. I had done 3 shows with him before and he is a genius!!!! He was excited by the idea and was a huge force in getting Lynn and Stephen to say yes to the project! He was interested in the idea of building garbage into the set and had mentioned John Bertles from Bash The Trash, who turns garbage into instruments. We had lots of discussions with Dane Laffrey our set designer and it snowballed from there. What was the most unique challenge in orchestrating the revival of Once On This Island and how did you work to overcome it? One of the challenges is that the band is actually smaller. I have five pieces and in the original we had more. We were looking to make it more acoustic sounding and less synthesizer so we used a guitar to help us make it more acoustic. There were some wonderful woodwind lines—which because we don’t have a woodwind player—I had to give up for the most part. For me, it was understanding how this could function 8 times a week. Learning the limits of human vocal fatigue, creating a new language of sound for the show that was separate from the lyrics and vocal harmonies, praying it could work. Having structured and tonal vocal sounds that hopefully the melody and lyric could sit on top of—also the challenge of getting it all transcribed so actors could see it on paper (Haley Bennett and Josie Bearden) and then the challenge of teaching it—with TONS of help of Chris Fenwick (music supervisor) and Alvin Hough Jr. (MD) —and of course all the while serving the story and respecting the score! Oh and another HUGE challenge was creating a swing book so when one actor was out the swing book covered parts that would keep the machine working. There are 16 actors with 16 different vocal parts going all the time. When one actor was sick, how would it not fall apart? SWING BOOK… that was a fun puzzle that kept us up nights! Teaching was a blast though. For Michael, were there moments you were excited to revisit nearly 30 years later? Anything you were itching to change? For AnnMarie, what was it like to join Michael on this and find your groove working together on the piece and creating something different than what he and Stephen Flaherty had done? My process has always been I have no reason to repeat myself—I have no interest in that. If I go to do a show a second time (which I got to do also with Assassins), my intention is to throw out what I’ve done before and just do something new because otherwise you might as well do the old orchestration. This is particularly true when it comes to making orchestrations smaller than the original. For me, the mistake a lot people make when trying to make an orchestra smaller is trying to encapsulate that old bigger orchestration and capture it, and that does a disservice. It’s not going to sound the same and it doesn’t fit the instruments you have. You write for the instruments you have. So for me, it was about turning away from the original and ignoring it as much as possible. Obviously some of it sounds the same because the songs are the same, but I tried whenever possible to take a new approach to it. I love working with AnnMarie, she’s a brilliant musician and wonderfully creative. Normally, AnnMarie and I do our work at different stages. What was nice this time is we were working at the same time, doing demos in pre-production and working together in all the workshops, so it gave us a chance to work together rather than next to each other. It was fun to have her work and my work feed on each other, which is why we took the joint credit together. It was heaven! Truly. On most shows, the orchestrator comes in at the very end and orchestrates around vocal parts that are already set. This time...it was fluid. Everything changed all the time…We were like dance partners on the dance floor at the same time! What a joy it was for me!!! I’m a fan girl when it comes to Michael Starobin. For a person interested in a career in orchestrating and vocally designing musicals, what are three things they should do or know to start on that path? 1. Don’t go into orchestration. I don’t want any competition. That’s the first rule. 2. If you’re going to go into orchestration, be a music director first. You need to learn how musicals function—what actors need, how music needs to be shaped—and you don’t learn that sitting writing scores at a desk. You only learn that being hands on in the theatre making theatre. 3. The final rule is study scores and study every kind of music. Even if you never work in that kind of music, having knowledge of every style and how it works and how it’s built is always helpful. You never know what style is going to cross your plate. Don't miss Michael & AnnMarie's work in 'Once On This Island' at Broadway's Circle in the Square Theatre or on the new revival album.